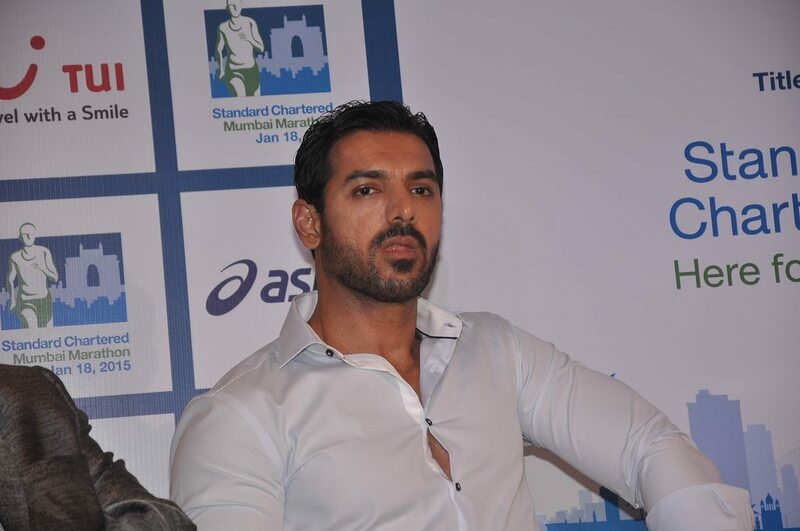 John Abraham attends the Standard Chartered Marathon 2015 press meet. 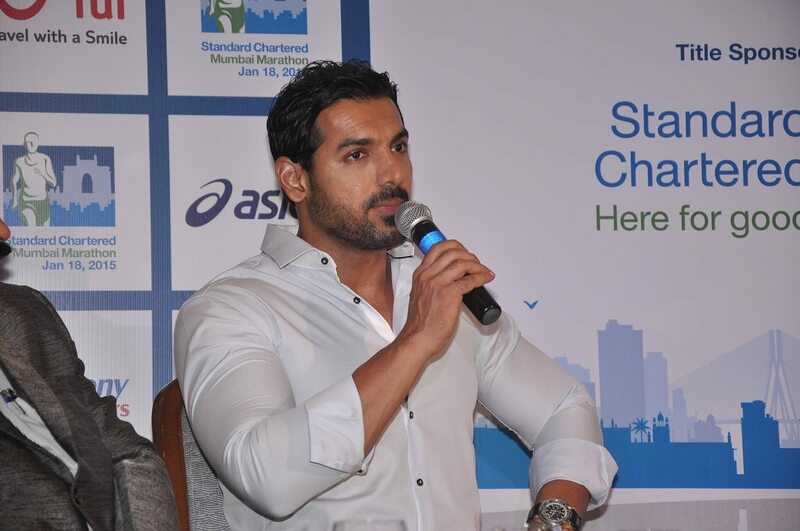 Bollywood hunk John Abraham attended the registration launch of the Standard Chartered Mumbai Marathon 2015, held in Mumbai on July 22, 2014. 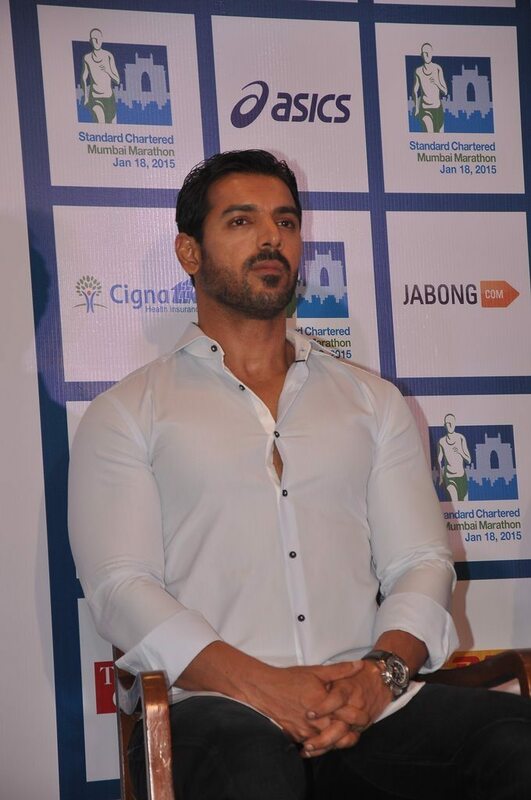 The ‘No Smoking’ actor looked his usual stylish self in a crisp white shirt paired with denims. The Marathon will be held on January 18, 2015 and this will be the 12th edition of the event. John attended the press event as the ambassador. The actor is currently preparing for the launch of ‘Welcome Back’, on the producing front John is working on ‘Satra Ko Shaadi Hain’ and ‘Rocky Handsome’. 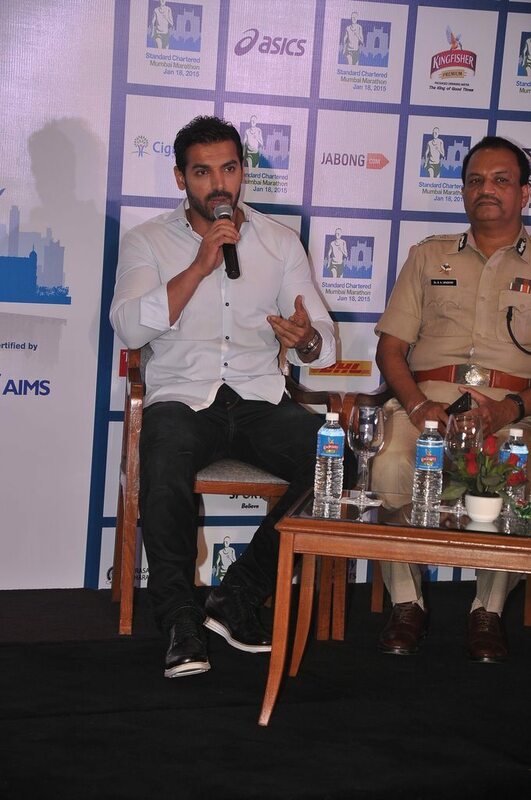 Being the thorough fitness freak that he is known to be, John has associated himself with the Standard Chartered Marathon since a long time, each year, the actor encourages people to participate in the Marathon. 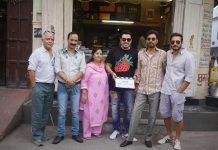 In recent times, the actor-turned-producer has also dabbled in television with his new show ‘John Abraham: A Simple Life’ on NDTV Good Times.